Mr. Tom Burks, the Owner of Wholesale Lumber and various oddities and commodities, passed away on October 15, 2012. It was the good fortune of mine to have known Mr. Burks for the last 17 years. He was a friend I could pop in on any time and sit for hours just shooting the breeze. The most down to earth man I ever met, and a natural in the ways of trade. The Dalai Lama said "share your knowledge, it is a way to achieve immortality". If I have made any success of my business I owe a good deal of that to Mr. Burks for sharing so many stories and experiences with me over the years. I will miss his wit and counsel. 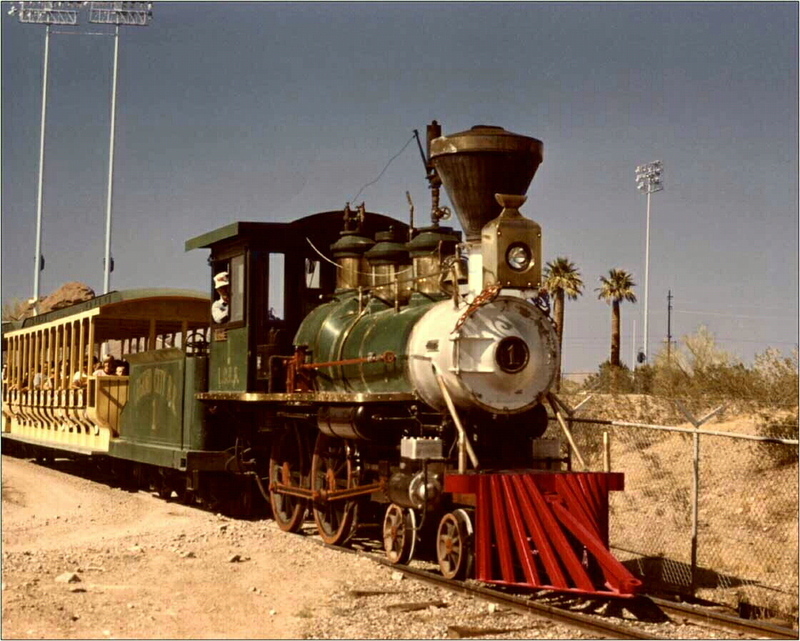 One of Mr. Burks' favorites was this old steam railroad train he owned. It was made in Philadelphia in 1963 by Crown Metals. It is a replica of the trains that were running in 1860. This train ran for 20 years at Legend City, Arizona (an amusement park) and later in El Paso for 5 years at Magic Landing before Mr. Burks bought it. The train was laid up in one of Mr. Burks' warehouses for ten years before moving it to The El Paso Connection a few years ago. It can be seen from the freeway and attracts thousand of visitors every year. Stop by and see it next time you're rolling through town. Height (Top of Rail to Top of Stack: 12' 6"
Equipment: Bells, Whistles, Injectors, Cab Lights, Etc. 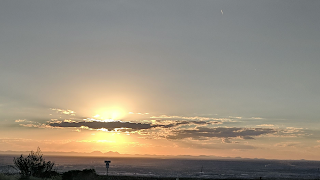 See it at The El Paso Connection at 14301 Gateway Boulevard West, El Paso, Texas.